Do TV Antenna Signal Boosters Really Work? Are you planning to get a booster for your TV antenna? Well, if the answer is yes, then you must be wondering whether these boosters are worth the money. The answer is yes. A lot of people have seen significant improvement in signal strength for their TVs when they use boosters. But there is still a lot of information that you need to know. After all, TV antenna signal booster solutions may work for some people and fail to deliver results for others. It all depends on where and how they are used. For example, large communal TV systems largely rely on signal amplifiers to work. The same also applies to systems that are connected to several TVs at once. How Does the Signal Booster Work? Although you will find many different aerial booster brands out there, most work in pretty much the same way. The TV signal is distributed over the air through waves. The antenna is responsible for capturing these signals. 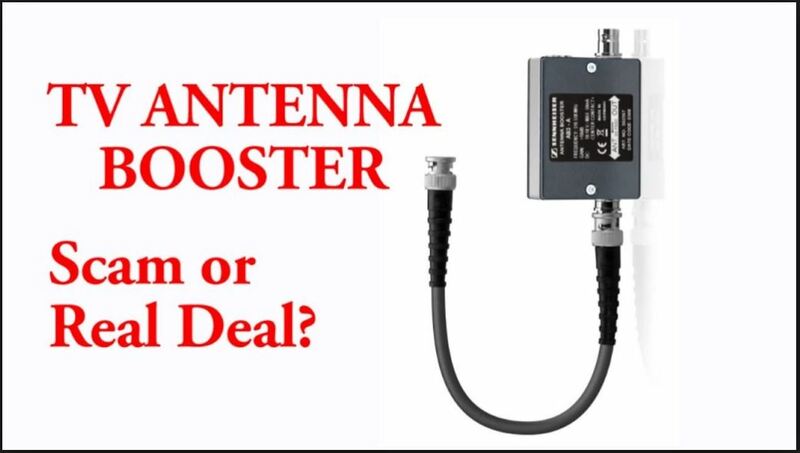 However, if you are using a booster, the signal captured by the antenna won’t go directly to the TV. It is inputted to the booster and outputted on the other end before it’s transmitted to the TV. Ideally, the output signal from the booster is stronger than the input signal. In addition to this, boosters boost everything not just the signal. In an effort to create a stronger signal, you may also end up amplifying other unwanted aspects of the signal such as the electrical noise, interference, and even signals from nearby transmitters that have got nothing to do with your TV. All these factors may affect the quality of viewing in the long run. However, modern booster designs can be able to mitigate these challenges even though they will cost you more money. When Should You Use a TV Antenna Signal Booster? TV boosters are used to fix poor TV reception. But there are cases where the booster won’t work. It is important to note that TV boosters will not miraculously create a reliable signal for your TV. They can only enhance what is available. In light of this, people who live in areas with poor or no TV signal may have a hard time using the booster to enhance their TV viewing experience. In essence, a booster will not make an unreliable signal reliable. It can only enhance the strength of the signal. If the signal keeps coming and going, then there’s pretty much nothing a booster can do. Despite their good intentions, TV antenna signal boosters may also have a few challenges. For example, it is possible that the booster will also amplify the wrong signals in your surrounding area. This really affects the overall signal quality for your TV. In addition to this, stronger boosters may lead to too much signal. In other words, the output signal produced by the booster could be much stronger than your equipment. This overload may overwhelm your TV and even cause damage. Using a TV booster is a great idea. However, you need to use it in areas where there is already a reliable TV signal. Also, don’t forget to buy a high-quality booster.